The new Star Wars Launch Bay in Hollywood Studios is full of replicas and models. 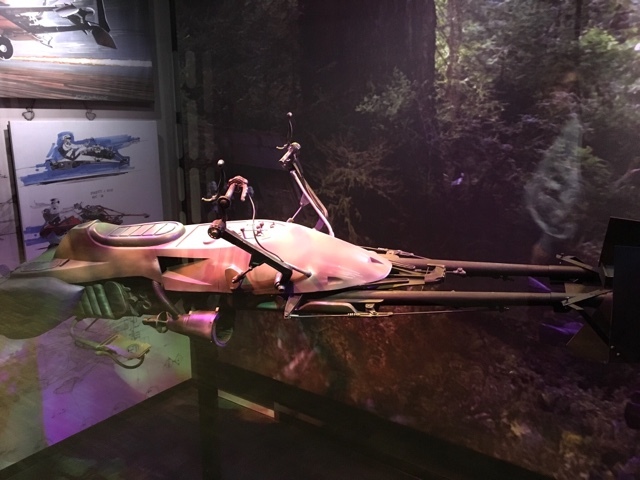 However, there are actually a few items that were used in the movies, including this speeder bike from Return of the Jedi. I took this shot shortly after Launch Bay opened a few months ago.